Modern medical technology has made fat removal procedures faster, easier and less invasive than ever before. Today, two of the leading procedures that are gaining traction in the world of non-invasive fat removal are CoolSculpting and SculpSure. Though both of these treatments are very effective in the removal of extra body fat, they are different in approach and produce slightly different results. So, of the two, which is really better? Here are basic overviews of each treatment and a comparison of their results. CoolSculpting works on the principle of removing fat cells via intense cooling. When fat cells are exposed to very cold temperatures, they begin to die off, eventually resulting in noticeable fat loss. During a CoolSculpting session, suction is used to isolate fat deposits in the area that is being targeted, after which the fatty tissue is frozen to begin the process of killing off fat cells. Much like CoolSculpting, SculpSure uses temperature changes to produce conditions under which fat cells will naturally begin to die off, resulting in fat loss. Instead of cold, however, SculpSure treatments use heat provided by lasers to kill off unwanted fat. Because lasers are used to target the individual areas being treated, there is no need for suction as there is in the CoolSculpting process. How do They Compare and Which is Better? The first difference between these two procedures is the time each treatment takes. SculpSure laser fat removal sessions take about half an hour, while CoolSculpting is a longer process at about an hour. Both treatment options are outpatient, meaning that patients can carry on with their days after their fat removal session is complete. Another key difference is the number of different areas that can be targeted using each technique. CoolSculpting is approved for a broader variety of treatment areas. One place that CoolSculpting can target while SculpSure cannot is the chin, which is frequently an area in which stubborn fat will hang on very persistently. Depending on the areas you want to remove stubborn fat from, SculpSure treatments may or may not be a viable option. The last element to consider between these two procedures is the level of comfort of the patient. SculpSure is the more universally comfortable, with only a tingling sensation being caused by the treatment. CoolSculpting, on the other hand, can be uncomfortable to some patients because of the suction that is used to isolate the fat that is being targeted. Overall, both of these procedures are excellent options for the removal of unsightly fat from specific areas. 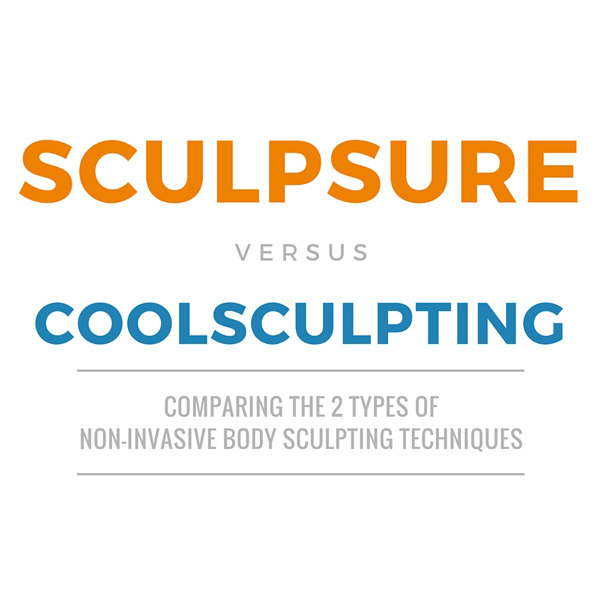 Although SculpSure wins out in the duration and comfort of treatment, the title of the better all-around procedure has to be given to CoolSculpting. The reason that this proves to be the better treatment is the fact that it is approved for use on several areas of the body that SculpSure is not. This means that, for overall fat removal, CoolSculpting is the more versatile and universally applicable option.